“Math test Friday” were the only three words that could turn my stomach and make me break out in a cold sweat. Some of our kids feel that way too but thankfully there are so many neat free math websites for kids that can help. As a child I was horrible at math. You might as well have tried to teach me to speak mandarine because that’s what all those symbols represented to me. It was even worse in High School. Because I didn’t understand, I didn’t try and instead I spent valuable class time painting my nails or gossiping with my girlfriend. It’s a vicious cycle and even now I have to “look something up” so I am “helping” my children properly with their homework. Thankfully now, I don’t have to. 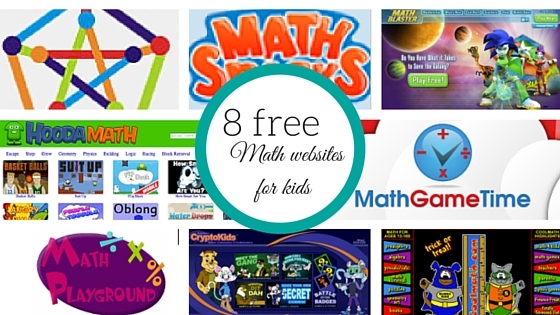 Here are 8 free math websites for kids that can help turn your math hater into a math lover. Math Snacks is a small but clever collection of math videos and games covering elementary school concepts with accompanying teacher and student materials. Developed by the New Mexico State University Learning Games Lab, the content is meant to appeal to kids who don’t even like math, giving them a new way to look at concepts. Six videos and five games, plus three overlapping iOS apps, are free and well executed, hip and humorous, and reminiscent of the classic Schoolhouse Rock! series. Math Central The resources alone in the resource room can assist teachers and students in understanding major and minor concepts in math. The links of information, learning, and application of concepts are important and presented well here. 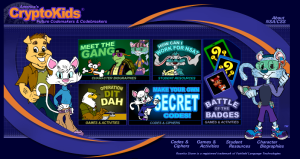 America’s CryptoKids website is sponsored by the NSA and focuses on code making and sodebreaking. Students can learn more about cryptology and create and break common codes. There are student resources, high school programs, and even college programs that can be explored. While the site may not focus on basic math skills, cryptology requires critical thinking that essential to student success. “Play with Numbers and Give Your Brain a Workout” is the motto of Math Playground. Tailor games to play related to logic, number skills practice, geometry, algebra, probability, fractions and more. There are also math word problems and video instruction to help students remember how to solve them. 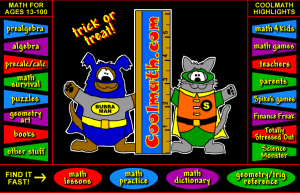 Coolmath-Games has exactly what the name implies – fun and unique math learning opportunities for students. One of the most interesting features is an online jigsaw puzzle section that features a variety of photos turned into puzzles. This is especially helpful for developing spatial relations in young learners. They have an extensive preview and review of Precalculus and Calculus in addition to their elementary and middle school games and reviews. 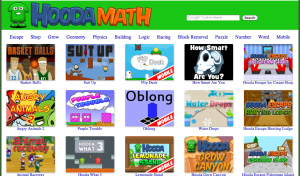 What math websites for kids would you add to the list? These all sound like great resources. I am going to check out a couple of them for my niece and nephew. There are so many great math games. It makes learning fun. Thank you for rounding these up! I love supplementing my kiddo’s education at home! Gosh these sound just as good as the educational PC games we used to buy. Thanks for the list of resources! Wow, these sound fantastic to help kids brush up and get a grasp on a difficult subject in school. As a former math teacher, I love seeing these apps! Anything to get kids excited for math is great in my eyes. Thank you for sharing the great links. I know I was looking for a few good math sites recently. Great finds! You have some that even I didn’t know about. I like that they have these awesome websites for kids to learn and play. 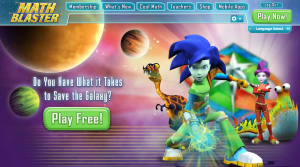 I think my kids would like the Math Blaster site with the alien/space theme. That is right up their alley. I’ll have to take a closer look at these sites. We use CTC Math, IXL and Khan Academy for help. My little man struggles with math, so I need to look up some of these for him. I think they would help!